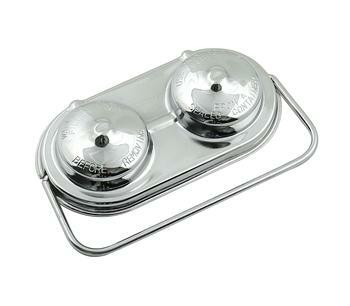 Dress up your engine with a chrome-plated heavy gauge steel master cylinder cover. Chrome-plated bail wires included for retention. Use existing gasket.